Jaguar models were meant to perform, and that’s exactly what the 2017 Jaguar F-PACE does on the road. With multiple engine options and the best handling technology, you can make a statement every time you go out for a drive. When you think about performance in a vehicle, you focus on the engines. After all, this is where the power comes from. The new F-PACE knows that Colts Neck drivers don’t want the same thing, so this model comes with gasoline and diesel engine options so you can experience the drive and performance that’s right for you. The 2.0L I4 turbocharged diesel engine is labeled with Ingenium, a new breed of Jaguar engine that was made to perform. Using advanced technology, this intelligent engine offers peak power and amazing responsiveness, giving you an advantage over other vehicles on the road. If you prefer traditional gasoline, you can opt for the 3.0L supercharged V6 engine. This option is available in both a 340 hp and 380 hp version, giving you the exact power you want. Not only does this deliver amazing performance, but the 380 hp engine can go from 0-60 in only 5.1 seconds. The Rumson weather can be temperamental, so you need a vehicle that can handle the highs, lows, and everything in between. The Jaguar F-PACE comes standard with all-wheel drive, so you can ensure you’re always ready for whatever the road may throw your way. The Intelligent Driveline Dynamics® software improves handling, so you’ll always feel safe when you hit the road. Aside from all-wheel drive, the Jaguar F-PACE was designed with optimal handling features. The All Surface Progress Control makes it easy for this model to handle inclement weather, and the JaguarDrive control lets you determine the type of ride you want to experience. Additional features like power assisted steering and Torque Vectoring also improve your experience on the road. 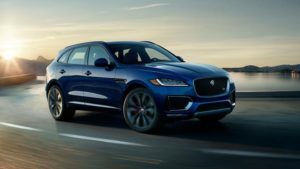 The 2017 Jaguar F-PACE delivers the performance features you need to stand out in Holmdel. 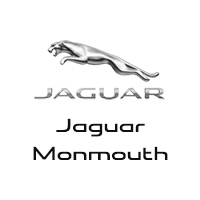 Visit Jaguar Monmouth today at 807 NJ-35 in Ocean Township to see our inventory, or contact our dealership at (877) 672-8680 to start an application.